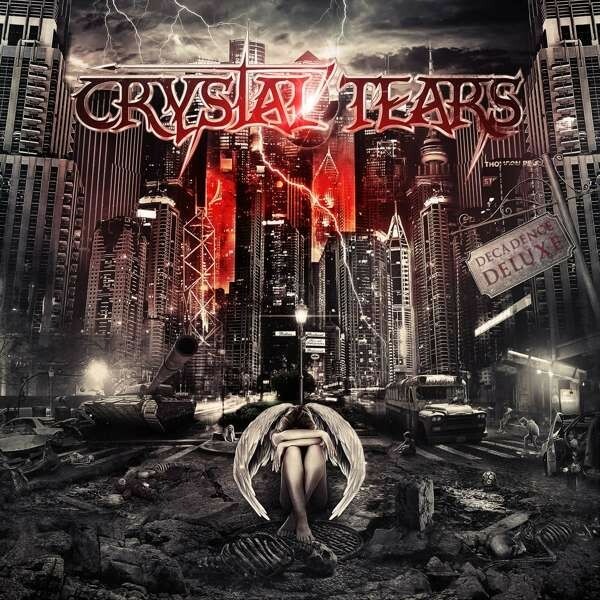 Greek metallers Crystal Tears have been at this game for five albums now, with plenty of chest beating and evil stares to camera as befits a band who make unashamed Heavy Metal. Any band who has songs called 'Chaos Thy Name' and 'Death Haunts Forever' are going to be Metal, so I decided to strap myself in and see what occurred. What occurred is plenty of enjoyable, if basic, Heavy Metal that really doesn't tend to hang around in the listeners brain for too long afterwards. It's interesting that the stand-out track for melody and catchiness is' Heart Of A Lion', which is an unreleased Judas Priest song from the mid-eighties. Elsewhere things chug on nicely, with Soren Adamsen possessing a voice well suited to retro style Metal, grunting and screaming where necessary and holding things together well. Musically, they remind me of Megadeth mixed with Accept, though falling a little short of either. Not to say they are bad in any way, just not memorable enough to revisit once I finish typing these words. Of more interest than the main bulk of the album are the two acoustic live bonus tracks, Alice Cooper's 'I'm Eighteen' and Queen's 'Tie Your Mother Down' are both done quite well, although Adamsen's vocals do not work on the latter. It's a nice way to calm down after the intensity of their own material, though. 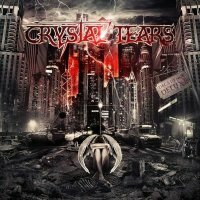 Album number five from Crystal Tears is decent enough, with some cracking guitar and powerful vocals, but in the end my own taste demands more excitement and melody. There's no reason fans of old school Metal won't get some fun here, though, so maybe check them out online and if you like what you hear the album should keep your head banging for a while.